To HEAR THE SHOW: CLICK HERE. 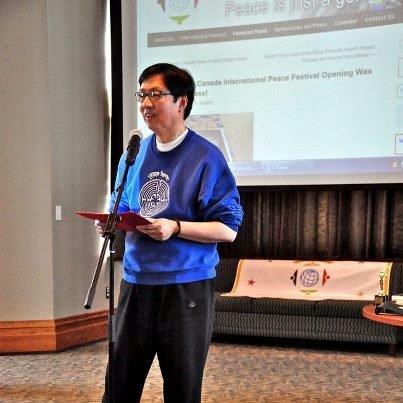 Listen to Synn Kune Loh during his radio presentation and interview for Co-op Radio on The World Poetry Cafe Radio Show with hosts Ariadne Sawyer and Israel Mota. They welcomed him as a talented author, poet, musician and painter as well as internationally known speaker. Shout out of thanks to Ariadne and Israel! Link HERE to go to their site. I sat down to spend a little time introducing myself to your newly published book, but I became so touched by your poetry that I could not put the book down down until I had finished it. A Journey to Camatkara is like no other poetry book I have read. they shed light on your own story. Congratulations on your inspiring and heartwarming collection of poems. The trouble with poetry is that liking it or not liking it is a very personal thing. Each word and line needs to be infused with deep meaning in order for the poet to engage the reader deeply. Luckily, this lovely little volume has no problem doing that. I found myself reaching for the post-its to mark particular lines that spoke to me and by the time I reached the end of the book I had a little forest of them poking out of its pages. The poems are, for the most part, haiku-like in simplicity, and the experience of reading them is like leafing through a beautiful album of pressed blossoms, each poem giving up a gentle burst of fragrant meaning as it comes to you. I found my heart rate slowing down to a meditative pace as I saw the world through the poet’s words. There’s a refreshing visual directness as well. Some lines I found achingly beautiful ‘ ‘The blue sky fills the wingspan of a bird…’, ‘The midday sun pounded shadows into the earth’ ‘, ‘A folded map covers the journey…’, ‘I would know happiness and its many disguises’ ‘, and ‘The First Day’ ends simply with: ‘The sounds of laughter became seagulls, as evening glow reached out to close the day’. I was particularly touched by the third section of the book, Family Tales, where the poems were longer, and more autobiographical. There are some lovely bits of humor and honesty as he looks back, not only on himself, but on some of the wise people who set him on his path. 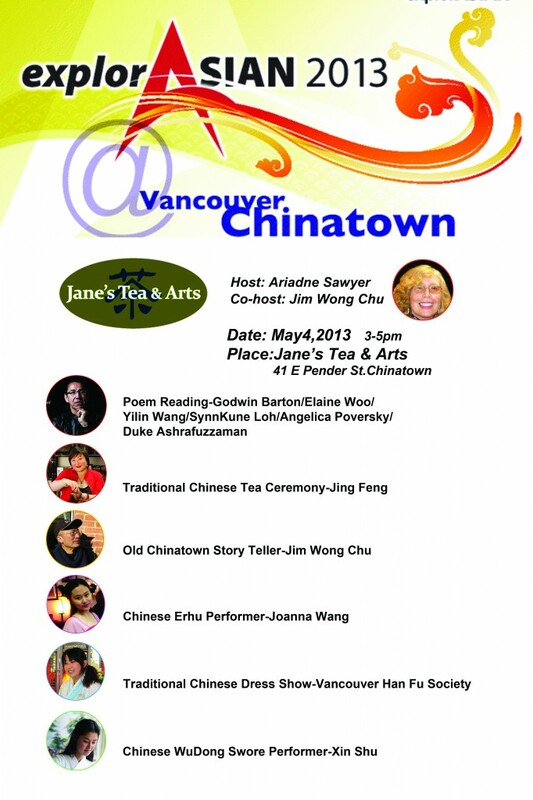 For example, in one poem, his Chinese grandmother consults a fortune teller wanting some reassurance about her grandson’s future. When the fortune teller says he’ll only be with her till he’s eighteen, the grandmother says: ‘Are you sure? Check again’. Over the course of several poems you come to sense his grandmother’s practical wisdom, but you also see the young man’s resistance to taking her advice, and how, looking back, he now honors what he couldn’t appreciate then. Through these poems the poet has expertly blended observations of the little things in his life that have made him who he is with his own sense of the generous mysteries and possibilities of life itself. These poems are a life-affirming exploration of something we all want to believe is true: it’s the little things, the people who love us, and our own willingness to take in the wonders of the world around us that will allow us to become more than we imagine. A real treat to read. 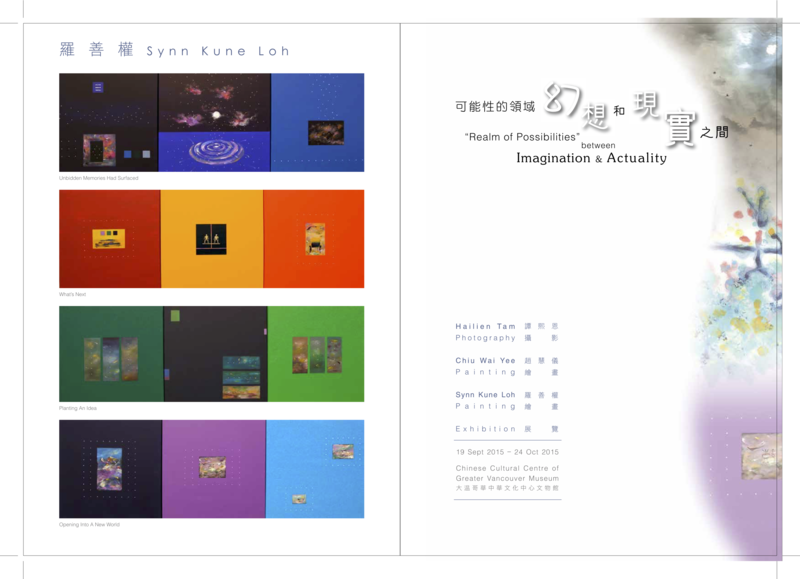 We’re ready to announce the release of the book of poetry by Synn Kune Loh. Watch these pages for updates, reviews and responses from readers.